ABC has canceled “Roseanne” in response to Roseanne Barr’s racist tweet on Tuesday, according to the Hollywood Reporter. “Roseanne’s Twitter statement is abhorrent, repugnant and inconsistent with our values, and we have decided to cancel her show,” ABC Entertainment president Channing Dungey said in a statement on Tuesday. Barr, who has frequently tweeted pro-Trump conspiracy theories, responded to a fake news story that former President Barack Obama’s CIA spied on French presidential candidates. In a now-deleted tweet, Barr wrote “muslim brotherhood & planet of the apes had a baby=vj” in reference to former White House aide Valerie Jarrett who is African American and was born in Iran to American parents. Jarrett was not mentioned in the story Barr shared. Some people took to Twitter to call for the show’s termination because of Barr’s comment. Following the tweet, Wanda Sykes, who served as the series’ consulting producer, resigned from the show. Barr announced she would be leaving Twitter and apologized for the comment. Sara Gilbert responded to Barr’s tweet saying that the star’s comment does not reflect the views of the rest of the show’s cast and crew. 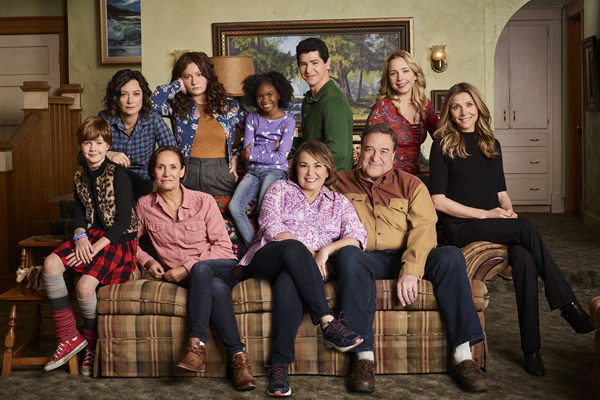 “Roseanne” was a ratings hit for the network and had been renewed for a second season.